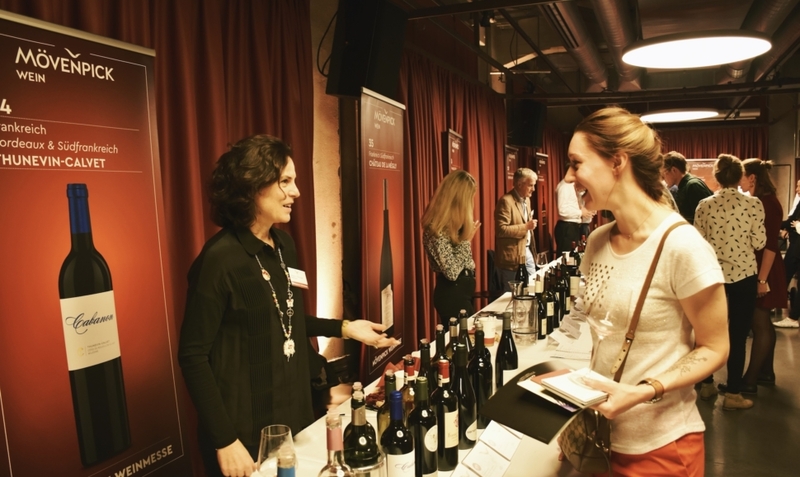 MÖVENPICK WINE FAIR is taking PLACE IN ZURICH on OCTOBER 27 – 28 AT PAPIERSAAL. This year, you will find more than 40 winemakers and more than 250 wines from almost all grape-growing regions of the world. You will have a chance to expand your knowledge about premium wines, talk directly to the wine producers and get first-hand advises. Furthermore, taste and compare wines from different regions in the stylish atmosphere of the Papiersaal in Zurich. As a wine enthusiast, you surely have some exquisite wines in mind that you’ve always wanted to taste before purchasing. During the Mövenpick Wine Fair 2018, you could enjoy a glass of world’s best rarities and vintages (available for a surcharge fee). Dates: October 27 – 28, 2018. Tickets: CHF 25.00 per person (incl. Catalog). Saturday, 27 October 2018: 13:00 – 20:00. Sunday, 28 October 2018: 13:00 – 19:00. Furthermore, all guests could benefit from special offers and additional 10% discount. More information about Mövenpick Wine Fair you may find on the official website. 1. Château Batailley (France, Bordeaux). Together with Château Trotte Vieille and other estates, it is a part of Borie-Manoux group, which was founded in 1870. Thus, it’s one of the biggest and oldest family owned French wine retailing companies. Impressively, Château Trotte Vieille has some of the oldest grapevines of Bordeaux, as some of them are pre-Phylloxera, and thus more than 140 years old. Château Trotte Vieille 1er Grand-Cru Classé “B” AOC Saint-Emilion, 2012. You may be interested to learn more about Scheiblhofer -> SCHEIBLHOFER WINE, AUSTRIAN DELIGHT AND SENSATION. 3. Staatskellerei Zürich (Switzerland, Zurich). It is one of the largest wine producers in German-speaking Switzerland. The company knowingly combines over 150 years of wine tradition with the latest wine-making technologies. The Staatskellerei Zurich buys and processes the grapes from 90 different producers throughout the canton of Zurich. It is also my favourite regional wine, that I believe has a potential to be appreciated both nationally and internationally. 4. Gialdi, Brivio (Switzerland, Ticino). These wine cellars, partly built into the mountain, use the air currents that circulate in the Monte-Generoso-Massiv. Therefore, ensuring a constant temperature throughout the year and an ideal climate for wine storage. Interesting fact, Gialdi is also producing white wine from red Merlot grapes (Terre Alte Bianco). It is very fresh and fruity wine, with delicate mineral finish. 5. Torremilanos (Spain, Ribera del Duero). The winemaking tradition of Torremilanos dates back to 1903. Moreover, this family owned winery has the Organic and Biodynamic certificates and exceptional quality wines. It is a renowned family owned Italian winery with over 700 years of wine history. I always enjoy discovering new fine wines of the brand. 7. Orin Swift Cellars (USA, California). This wine surely surprised me by its complexity and distinctive taste. Each bottle has an interesting story behind and signature style of the company. SO, These were some of my favourites this year. You are also welcome to share your experience in the comments below. Beside the wine fair, you can likewise check and purchase all displayed wines at the Mövenpick wine cellars and online store. Finally, if you have any questions, don’t hesitate to contact me -> GET IN TOUCH.